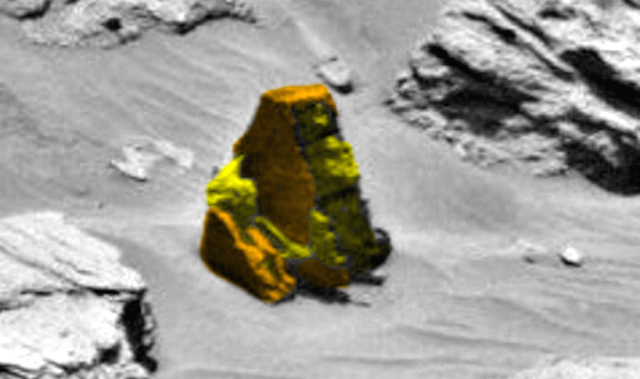 UFO SIGHTINGS DAILY: Mars: Three Faces Found On Two Pyramids Of Worship, Nov 2015, UFO Sighting News. Mars: Three Faces Found On Two Pyramids Of Worship, Nov 2015, UFO Sighting News. 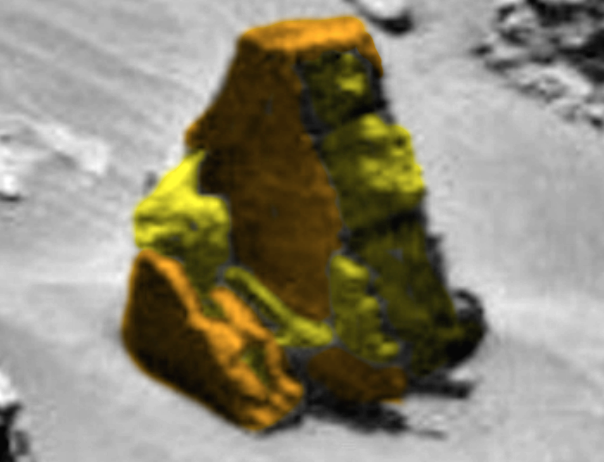 I used yellow To color the three faces, orange to color the walls of the pyramid. 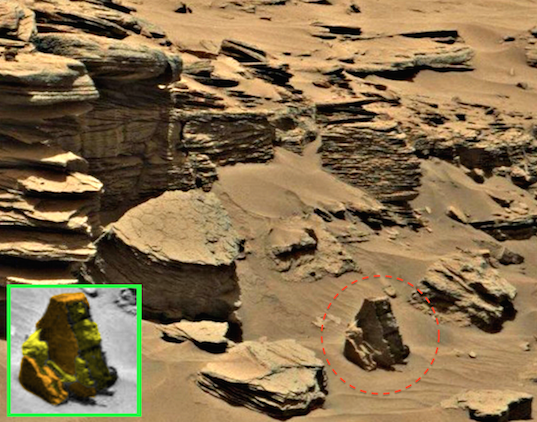 I found these two interesting pyramid shaped structures side by side. The smaller one has one side open and you see a figure sitting in it with a flat backing sticking up behind its head. A lot of Buddha statues here in Taiwan have that The larger one has a tall grandfather bearded face in it. Then, there is the third face. Can you see it? Its built into the side of the larger pyramid. Its shaped like a moon with a face. They look like ancient deities created for worship, and are facing the direction of the rising or setting sun.